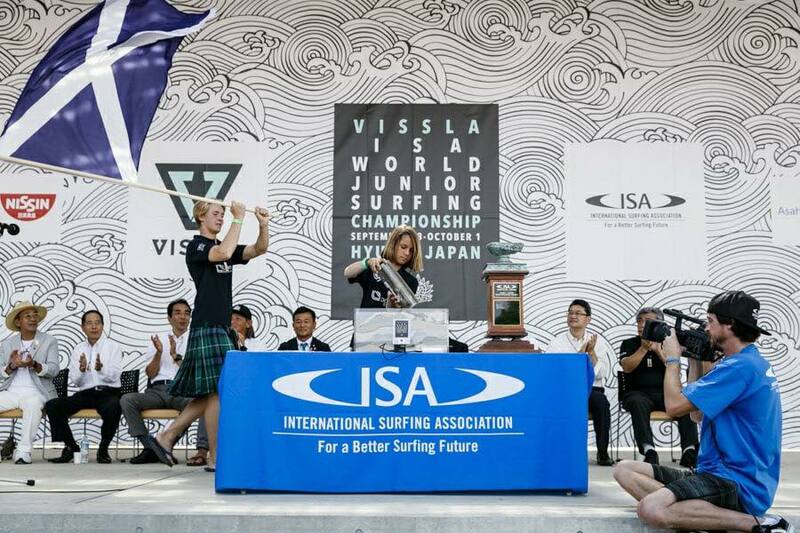 Ben Larg and Peter Laing represented Scotland at the VISSLA ISA World Junior Championships from the 23rd September to the 1st of October in Hyuga Japan. Ben surfed in both the U16 and U18 divisions and Peter in the U18. Unfortunately both boys Ben Larg (SCO) and Peter Laing (SCO) were eliminated in Rep rd 1 in U18s and Ben in U16s too. Ben posted a 4.74pts heat total in his U16 rep but it wasnt enough to make it into the top two – he just needed to improve by 2pts, thats only 1pt per wave so not much in it. Ben still has 4 years at U16 age category and 6yrs at U18s so lots of time to get there. The overall team gold medal was won by the USA. 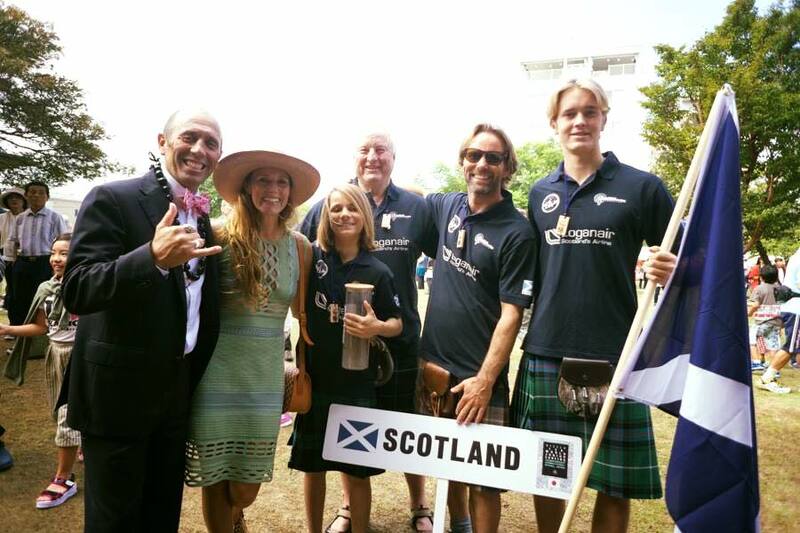 Below are some photos of team Scotland in Japan followed by a full list of results. 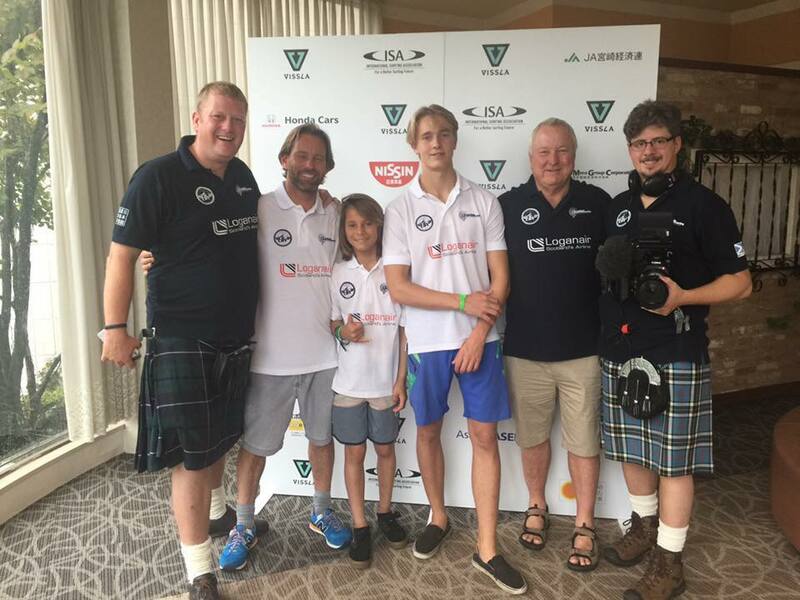 The Scotland team for the Vissla ISA World Juniors: in White L-R Martin Larg (Coach), Ben Larg (u16/u18) and Peter Laing (u18), plus film crew and support in dark. Thank you from Wave Project Scotland!